PHUKET: Olga Smirnova, the 53-year-old Russian woman who spent two nights in police lockup after she was caught feeding bread to fish Racha Yai Island, was today (Mar 6) fined B1,000 by the Phuket Provincial Court for her transgression. The paltry fine comes after Ms Smirnova was held two days in detention at Chalong Police Station as she could not raise the B100,000 set by police to be released on bail, even though police held her passport as precaution against “flight risk”. “She was presented in court this morning and fined B1,000,” Chalong Police Chief Col Krittapas Det-intarasorn confirmed to The Phuket News today. “We will send her to Immigration next because now the court and the police have done our duty already. Immigration will take care of this case from now on,” he added. However, Col Krittapas could not confirm when Ms Smirnova will be present to Phuket Immigration for further processing, or whether or not the bail had been returned to the friend. An officer at the main Phuket Immigration office in Phuket Town, who declined to be named, said he was unaware of Ms Smirnova’s predicament. “I have to wait for Chalong Police to contact me. 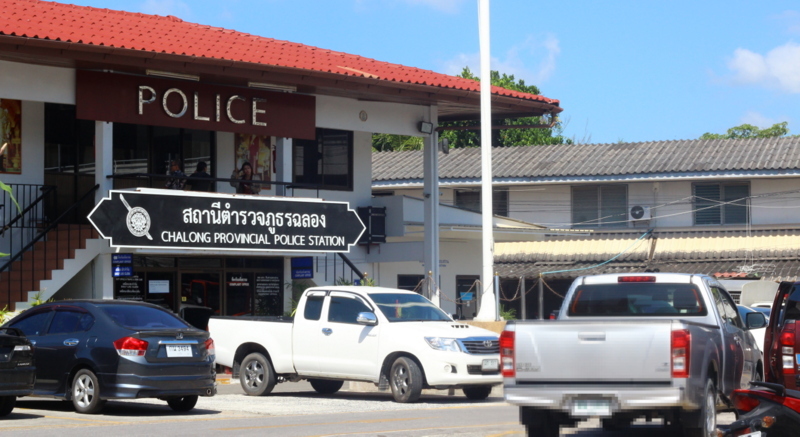 It is standard procedure for any foreigners found guilty of any crime to be brought to Phuket Immigration,” the officer told The Phuket News this afternoon. “Immigration officers consider the factors in each case. If it is not serious a issue, Immigration will release the foreigner. For feeding fish, I have no idea,” he said. Vladimir Sosnov, head of consular section of the Russian Embassy in Thailand, noted that the “punishment was minimal”. “We consider the court’s decision on this case satisfactory. Right now we are working on sending the tourist home, as she missed her flight because of the trial,” he said. Additional reporting by Tanyaluk Sakoot and Anton Makhrov. Swerv, more swervness, I think, something you should try, what Kurt is saying is that more fish die from polluted waters than by someone feeding bread to the fish, without actually touching said fish. Kurt: Were you drunk when you wrote this? "That kills more fishes than a non hand touch contact bread fish feeding". The mind boggles. I did answer sufficiently the question or I was thinking someone cares about this case outside Phuket. My earlier answer should have taken away any doubt. I just leave it with just that earlier given answer. I am sure other readers not like to become bored with dragging on this subject. To prevent loss of species and corals around Phuket island would be very much less if not so much unpurified dirt and waste water was released. That kills more fishes than a non hand touch contact bread fish feeding. And the helmless rider? Yes, indeed, a fine and the next minute he drive past, helmless. Quite a few motor bike riders died this week helmless. No hand bacteria involved. The story was in Russian TASS, in Daily Mail, on other foreign TV stations. 'Even' in Bangkok press. It got attention outside Phuket, in Thailand and worldwide. And yes, there were people outside Phuket who cared about this case, of course. Not only the Russian embassy, but all foreign delegations took note and reported it. Swerv, more Swrvness, there is no mention of any copies of posters, vest you go reread the above "content". Jor12, I did che k previous articles, perhaps I missed one, please provide the link. Was told by a official that they are shocked by the world wide commotion about how Phuket officials handled the Russian woman fish bread feeding case. Lock up in police cel 2 nights like a criminal. A bail of 100,000 thb!! I was wondering, all these fish tanks in Patong were tourists put their feet in ( full of bacteria) and let the fish eat the dead skin, is that thai law wise allowed ? Feeding fish bread ( ok, now we know, not allowed) most of the time happens without contact human hand -fish, in sea water. So no bacteria 'exchange'. The woman was shown a copy of posters placed across the island warning of the rules. Rorri...check out previous photographs that have appeared in previous articles, or go for walk and check them out. If you can't find them, get someone who is sober to assist you. kangaloowest ... what has tour guide got to with anything in the story. They don't enforce the laws. As the saying goes, you can a lead horse to water but you cant make them drink. swerv, it would be nice to see a photo of said signs, and if they do exist, where is their location, in respect to where the tourists were, anyway, in this case it would have served Thailand's reputation a lot better if the lady was simply given a stern warning. Thainess seems to be a negative attitude,mmm maybe we also see something else Swervness. Forbidden to feed bread to the fish. But OK to feed coins to the turtle, against bad luck. Yes, yes. People must have seen that turtle 'eating' coins, it were 915 coins! Kurt: There are signs in Russian stating it is against the law to feed the fish with the penalties spelt out. Some people feel they are above the law and ignore such signs as not being applicable to them. This lady is very lucky to get away with a small fine. What is a " puke affair"? Strange remark. Good luck getting the money back! One law for Thai's & another for foreigners. Ridiculously out of proportion !!. What happened with the "Tour Guide" ??. Were they cautioned/fined as well. I would never go back to Phuket again after that load of BS. Once they have the money, that's it, it is gone !! They have done the image of Thai Tourism irreparable damage !! Arrested for feeding fish bread. Two nights in Chalong police detention. Got fined in court 1000 thb. Hold passport as being a 'flight risk'. Pathetic. And not able to confirm or the bail will be returned? Yes/No ? What silly nonsense is that? After the fine was paid, the bail suppose to be returned the very same moment, right?